Pete and Harriet Deison were enjoying a full life of being parents, grandparents, and partners in ministry when deep depression spiraled Harriet into a darkness that caused her to take her own life. Suddenly thrust into unimaginable grief, Pete, a Presbyterian minister, turned to his roots as a student and educator in an attempt to make sense of it all. Visits from Heaven is the love story of a man and his wife of forty-three years, which quietly becomes the story of God’s love for his children. The narrative of strange coincidences, amazing answers to prayer, and dozens of dreams and visions by Pete and others affirms that there is a continued existence of loved ones that can be experienced here on earth. Is heaven a place where real life continues, or is it all clouds, pearly gates, and long church services? 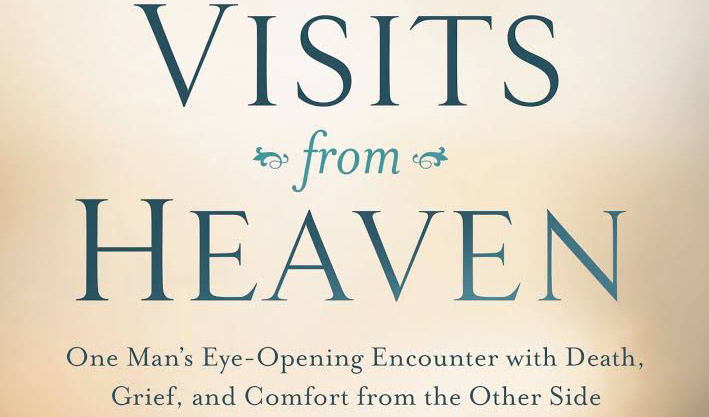 Visits from Heaven answers those questions, giving readers a clearer picture of what life is like for a believer after death. It’s also a wake-up call for those who secretly think heaven is a dry and boring place. In Visits from Heaven, Deison shares biblical truths about the reality of our continued existence and the nature of our heavenly home, gently leading grieving people on an effective and insightful journey through the grief and recovery process. Visits from Heaven is a lifeline to those who question our connection to the other side. Whether you are grieving and looking for encouragement; or want to hear a biblical perspective of life in heaven – Visits from Heaven will fill you with wonder, hope and joy. Dr. Pete Deison is a pastor, teacher, and president of Park Cities Presbyterian Church Foundation. He has served as a pastor in the Presbyterian Church of America since 1978 and was on the National Team directing the campus ministry of CRU. He now serves as associate pastor of Park Cities Presbyterian Church in Dallas, Texas where he has directed the men’s ministry, workplace ministries, evangelism, and officer training, and where he currently teaches a large adult Sunday School class. He is a featured speaker at the Kanakuk Institute and the author of The Priority of Knowing God. Pete has two married daughters, eight awesome grandchildren, is an avid fisherman and loves to travel.